In the Works: Currently, Audix is working on digital offerings, true array microphones, and other initiatives. In any discussion of ceiling microphones, you must address the aesthetic/physical concerns of end users and how the spaces that microphones are installed in function. They should provide ease of use, maximum coverage, and intelligibility. As the workplace becomes increasingly collaborative and flexible, ceiling microphones must speak to both the current and future function of spaces ranging from traditional conference rooms, to huddle rooms, to completely reconfigurable facilities. The evolution of ceiling microphones has been radical, as well. In 1992 the Polycom SoundStation was innovative, but users soon tired of gathering around or physically moving it for participants. Tabletop boundary microphones solved those issues, but as teleconferencing/VTC became more popular, problems arose; paper shuffling, obstructive laptops, blueprints covering microphones and the dreaded spilt coffee. Ceiling microphones addressed those pitfalls, but engineers disliked them. They were a last resort: They didn’t sound very good, weren’t necessarily designed for ceiling applications, and, frankly, were much less aesthetically pleasing. Also, then as now, critical distance was a factor. With the trend toward flex seating and reconfigurable rooms however, in-table microphones became less viable and end users were requesting ceiling microphones. Ultimately, higher performance microphones combined with enhanced DSP features—AEC, AGC, noise filtering—turned the tide. Enterprise collaboration and UC also prompted new networking demands. Innovations like the first tri-element hanging microphone, although proprietary, enhanced the install experience and allowed A/D conversion over Cat-5. The development of products tailored specifically for ceiling applications, like the smallest fully integrated, balanced-out condenser with no external preamp, was extremely important. So, too, was increasing that product’s sensitivity to minimize additional required DSP gain and developing solutions with plenum housing for connectivity/wiring and physical steering capabilities. More recently, beam forming/steerable array microphones and Dante-enabled microphones have impacted the future of ceiling microphones, so we will be seeing more Dante and, eventually, AVB-enabled products. Over time, manufacturers have increased functionality, intelligibility and coverage while emphasizing aesthetics. Tri-element and array microphones offer a broader pick up radius and are highly useful in huddle spaces, traditional and flex seating rooms. With some models, cable runs from microphone to DSP of 300 meters are now achievable with no detectable line loss or degradation. Beamforming microphones are improving onboard features. Steerable array technologies incorporating multiple lobes of coverage are a problem solver, helping to isolate speech in rooms with high HVAC noise levels and/or reflective surfaces. That said, participants’ movement between lobes could result in dB loss. Whenever you have a host of features, there’s a management aspect that needs to be understood. In specifying microphones, determining the end user’s needs is critical. Digital microphones offer advantages, but every microphone is analog before A/D conversion, and every signal is digital post DSP. Generally, clients should base their choice of microphones on what provides the most effective and aesthetically pleasing solution, rather than on digital versus analog options. More products now cross over into multiple applications. In educational institutions for example, where scalability is key and multiple microphone models are often necessary, using different models from the same manufacturer is advantageous because they can provide the same specifications and sound. The technology and marketplace are expanding exponentially. Medical (particularly telemedicine) and distance-learning applications are major emerging markets. Consequently, going forward, the industry must look at microphones that can accurately provide trigger camera points. Listening to integrators and making improvements accordingly is key, but the dialogue with end users remains a primary driver of innovation. It’s all about connectivity. The growing demand for BYOD and microphones that live on the network can be seen by the inclusion of new technologies at the DSP level, the diversification of input/output options (including USB), and the increased utilization of smartphones and tablets. As consumer devices transfer more data in and out of the cloud, however, security concerns and requirements for discrete authorization will grow and create a surge in development and innovation. As for the future, who knows what new products will emerge. It’s really the Wild West when it comes to live microphones on the network and the Internet of Things. Smart homes and automobiles—and connecting them to the workspace—are the next frontier, and every manufacturer is thinking about how to contribute to that infrastructure because those technologies will potentially touch everybody. 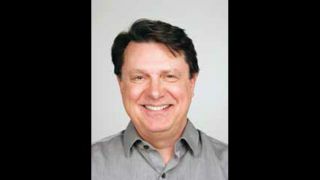 Gene Houck is national sales manager, Installed Sound, for Audix. Prior to joining Audix in 2000, he worked for several years in the auto industry as national sales manager with Partsvoice. He is also an accomplished musician and singer.